For motorsports fans like myself, this weekend is one of the biggest on the calendar: the Formula One World Championship is in Monaco for a big race on Sunday. 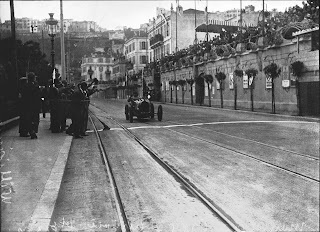 The streets of Monaco, home of the Grand Prix de Monaco. 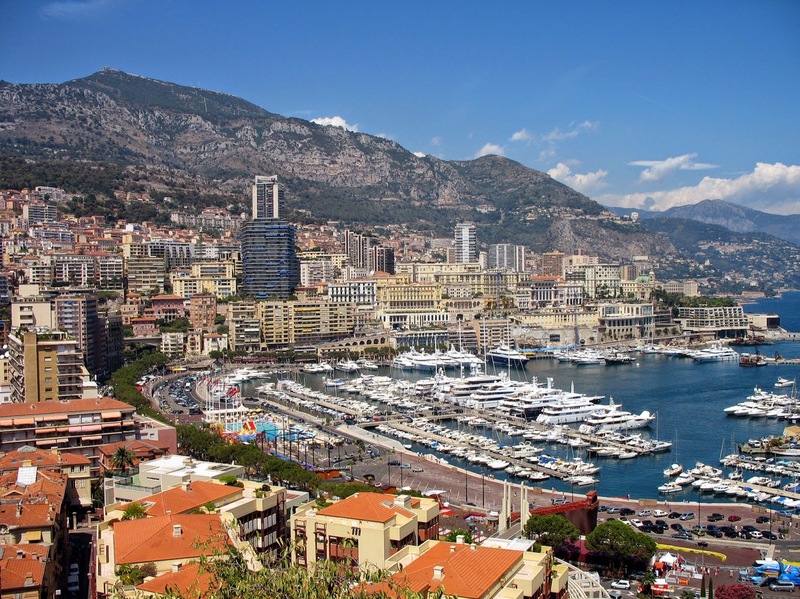 The Monaco Grand Prix is arguably one of the most famous motorsports events in the world. Attended by millionaires and celebrities, it brings fast cars to the beautiful Cote d'Azur with all the glitz and glamour of Hollywood. It's a special part of the Formula One calendar since it takes place on the streets rather than a purpose-built motorsports circuit. Of course, this wouldn't be a language blog if we weren't discussing language. Like many other sporting disciplines, Formula One has its own distinctive terms and language uses. 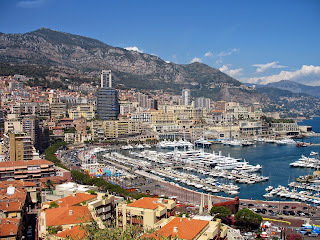 Since this weekend's race takes place in the principality of Monaco, whose official language is French, its official name is the Grand Prix de Monaco, or "Monaco Grand Prix" in English. 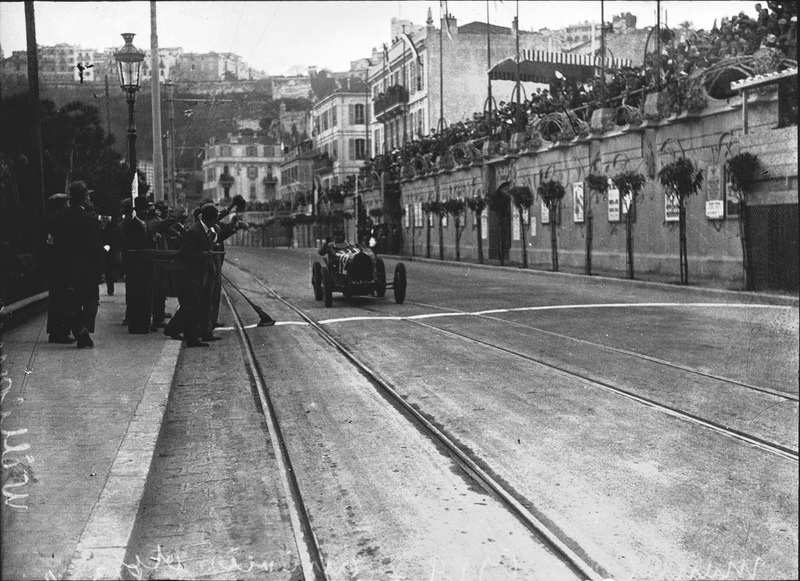 While other languages have their own equivalent term for "Grand Prix", English has stuck with the French term (meaning "big prize") since France is undoubtedly the birthplace of the sport of motor racing. The word chicane, a type of s-shaped turn that is often used to slow down traffic, is actually from the French verb chicaner, which means "quibble" or "squabble". As a highly technical and scientific sport, there are plenty of specialized racing terms floating around in common use. Since this terminology is often long and technical in nature, acronyms have become commonplace. DNF (Did Not Finish), DNQ (Did Not Qualify), DNS (Did Not Start), and DQ (Disqualified) regularly appear on timing sheets in place of lap times. Of course, acronyms are also used in reference to technical parts of the cars. The Drag Reduction System (DRS) was introduced as part of an effort to increase the amount of overtaking, while the Kinetic Energy Recovery System (KERS) was introduced in 2008 in order to make the cars more ecological. One use of language that particularly interests me in Formula One is radio communication. Since time is of the essence when drivers are hurtling around corners, radio communication needs to be short and clear. When drivers are required to change tyres (an impressive feat that is often completed in under three seconds), they will often receive a message to "box" or "box, box, box". In other motorsports the order "pit" is used, but in the past "box" was apparently easier to understand over the noise of the louder engines that were once used in the sport. affair than the spectacle you'll see this weekend. Towards the end of 2014, season teams were told that the rule banning them from "coaching" their drivers over the radio would be more strictly enforced. I'll ignore the complicated ins and outs of what this supposed rule covers and instead discuss how, as recently as yesterday, we've seen attempts to avoid this rule using coded language. During a practice session yesterday, British driver and current world champion Lewis Hamilton asked for feedback on how he'd managed the first turn of the circuit. The response from his team was that they couldn't possibly tell him (for fear of breaking the aforementioned rule). However, the following radio message from Hamilton was him asking his team how the weather was. The team replied telling Hamilton the weather was fine. It'll be interesting to see how these codes develop if the ban remains in effect, and whether or not it'll become as confusing as rally pacenotes.